I really wonder how someone first came up with carrot cake. What would possess that person to put carrots in a dessert? Whatever the reason, I am glad they figured it out. I think most people will agree that carrot cake is one of the best desserts out there. I don’t think carrots are actually the reason it is so delicious, more likely it is the spices….. or perhaps the cream cheese frosting. I needed another cookie recipe in my repertoire and this is it! Perfect! 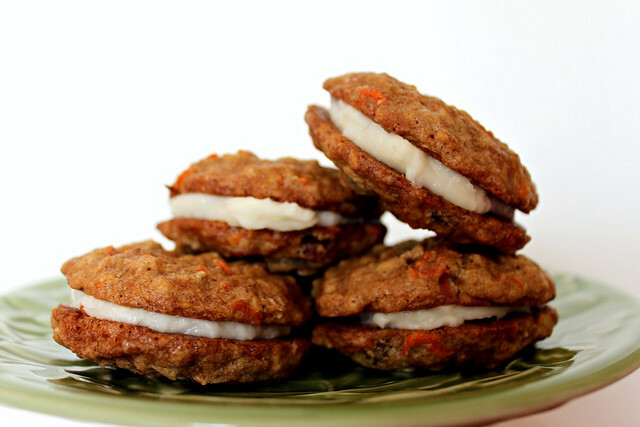 Less fuss, easy prep and easy munching too...I love that these carrot sandwiches are healthy too. Rich in fiber and fully flavored...Just the right mixture we are all looking for. Great job! these look amazing! 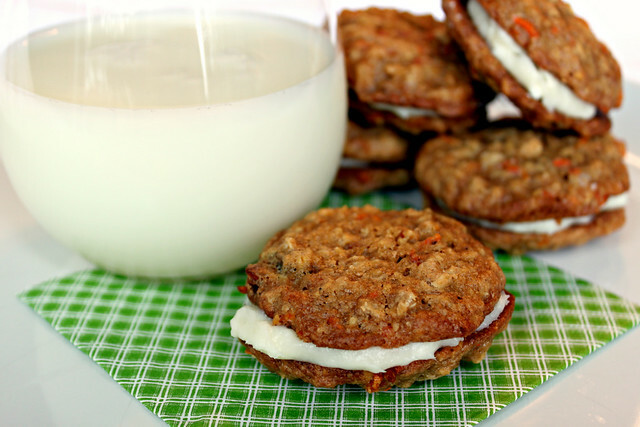 I have been wanting a good carrot cake recipe for a long time and in cookie form is even better! thanks! Mary Senesac brought these to Neberieza Xmas yesterday and they were AMAZING! Definitely going into the keeper pile! So glad you liked them!! They are a personal favorite of mine, same with anything Mary makes. ALWAYS delicious!! Thank you for leaving the comment!